Recipes & Cooking Tips for Ramp (Wild Leek) Lovers! Prepare an outdoor grill to medium high heat. Place ramps on a rimmed baking sheet. Drizzle with olive oil and season with salt and pepper. Toss until well coated. Lay the ramps on the grill until you see distinct grill marks, about 2 minutes. Turn the ramps over and cook about 1 minute more. Remove the ramps from the heat and season with the vinegar and more olive oil. Transfer to 2 plates and serve warm. This site contains a lot of articles, recipes, facts, and other great stuff about ramps (wild leeks) - Go, here to see more. 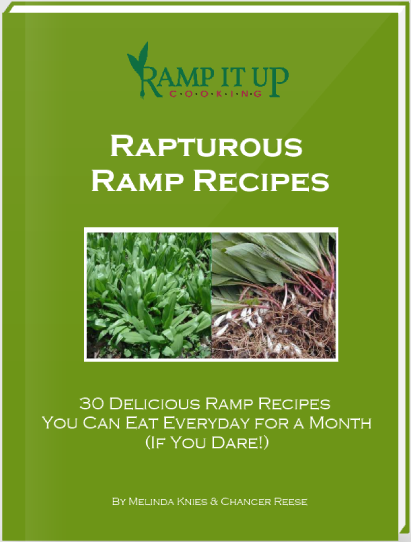 Get Our New Ramp Cookbook - Only $5.00 Download now & start cooking tonite! Ramp & Potato Soup – It’s Stinking Good! 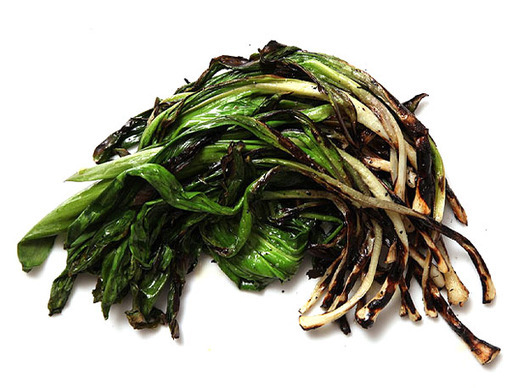 The Ramp Vegetable Cure for Fitness? Can the Ramp Vegetable Cure Help You Lose Weight? Copyright © 2012 - 2019 Ramp It Up Cooking. All Rights Reserved.